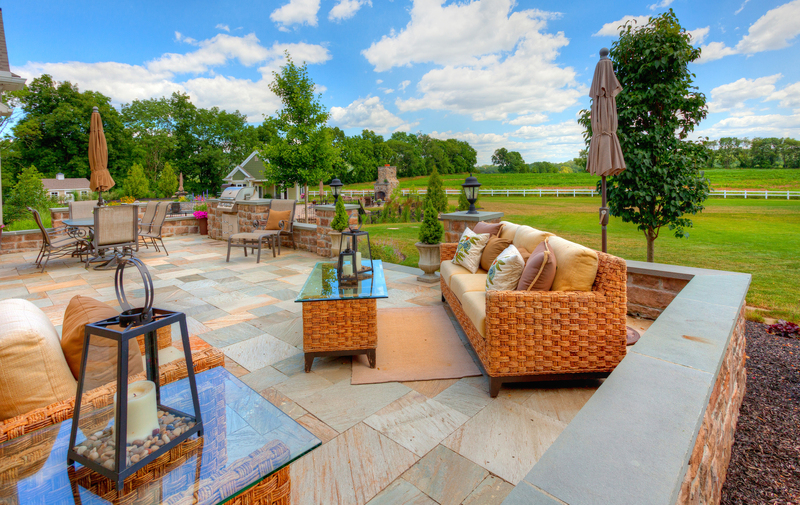 Landscaping can have a tremendous impact on a home’s overall value. In fact, an ROI study by RealEstate.com expressed that landscaping and hardscaping can deliver a return on investment as high as 150 percent. 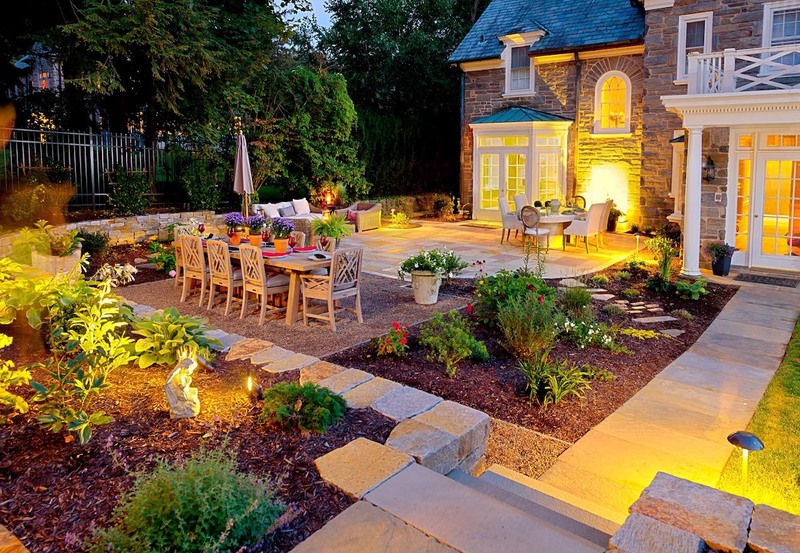 That puts backyard landscaping ROI higher than other home improvement projects like a bathroom or kitchen update. 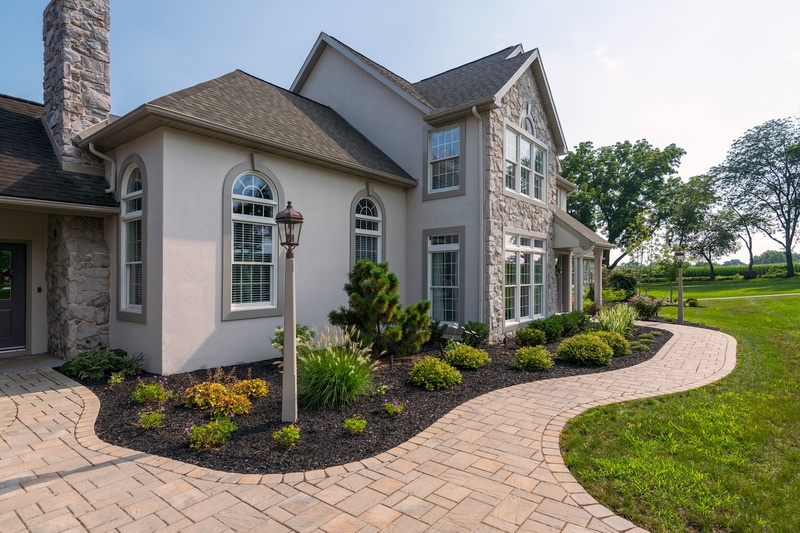 Whether you are certain that you will be selling your home in the future or it’s just a possibility, you might be thinking about the best landscaping to sell a house before having a major project completed. 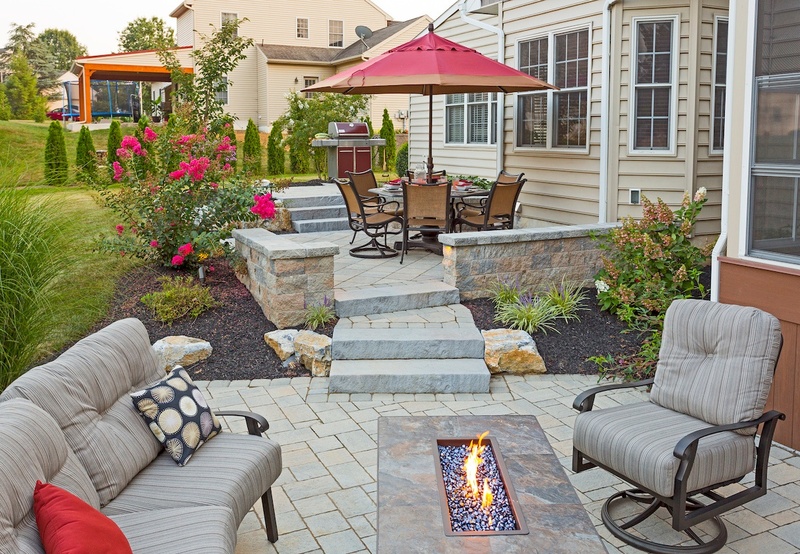 After all, you want to love your backyard—but if you do go to sell, you want potential buyers to love it, too. 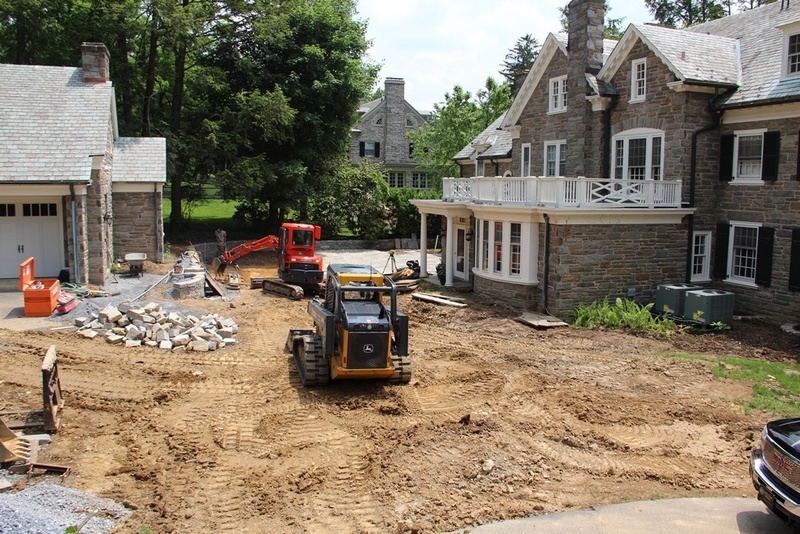 Before beginning a large landscape project, it’s important to discuss your goals for the property. If selling is definitely in your future, how soon do you anticipate that sale? Will you be in the home 5, 10, or 15 years? Even if you know you’ll sell this house at some point, you’re still spending a substantial amount of your time there so the landscaping effect on your property value shouldn’t be your only thought. Though there are no hard dollar figures to attach to ROE, it’s a factor that is incredibly important. Considering the fact that we all have just one life to live and enjoy on Earth, ensuring that we get as much fulfillment out of our spaces is a valuable consideration. Ten years in a home is a long time—10 percent of your life if you’re lucky enough to live to be 100—and if you’re going to be in your home that long, it’s worth thinking about fully enjoying your time there. Think of it this way: Investing in your landscape to make it more entertaining could be an alternative to buying a beach house. Instead of traveling back and forth to the shore, you could transform your property into a backyard paradise where you want to spend your whole summers during your time in that home. You should also think about other ways you might use the space for entertaining. In the time that you will be in that home is there any chance of you hosting a graduation party, a shower, or maybe even a wedding? When you think about how much it costs to host those events somewhere else, the investment in making your backyard event-worthy might start to seem even more cost-effective. On top of that, it will also make it easier to sell your house as future buyers daydream about the events they would love to host there. How Much Should You Spend on Landscaping? As you think about how much you might invest in landscaping as well as what sort of ROI you’ll get out of it, you might want to think about the going rate for your house. For instance, if you are in a $1 Million dollar home and you spend $150,000+ on landscaping, that’s going to seem appropriate—it might even be expected by buyers. If you look around at all your neighbors’ properties and they have extensive landscaping and you don’t, it’s likely going to hurt your chances of selling. However, if you’re in a neighborhood with $400,000 homes and you spend $150,000 on landscaping, it’s possible you might not get the same ROI. Even so, you still have to think about ROE. If there’s a project that you absolutely desire and you know it will make your time in your home so much more memorable, then it might be worth it for you. You might recognize that you’re not going to get that money back when you sell, but it will have been worth it for those priceless memories and money you would end up spending elsewhere anyway. If you’re thinking about adding various landscape features to your property you might be thinking about the landscaping effect on property value—and more specifically, which features will have the most impact. You’re probably also concerned about any negative impact you could inadvertently have. To help guide you in making an informed decision, we’ve rounded up some of our most popular landscaping projects with some thoughts on how they might impact backyard landscaping return on investment. 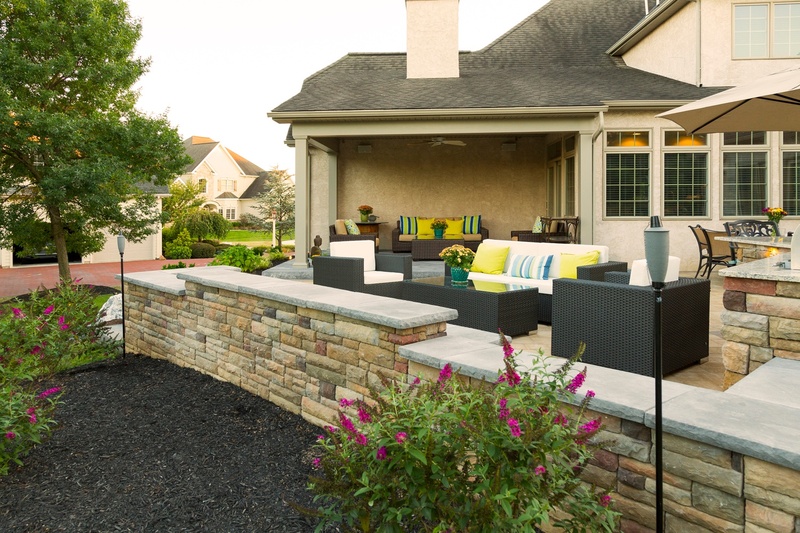 Walls can add more usable space for seating in any hardscape setting including a patio, pool, or around a fire feature. A true retaining wall also serves the valuable function of holding back soil erosion to maintain your property’s desired grade. For a property with slopes, a retaining wall could transform a previously unusable space into one that is suddenly functional. Thinking of it in terms of selling, when a potential buyer comes to a property with a steep bank that will needs a lot of difficult maintenance is going to seem overwhelming. But if you’ve added terracing and created flat areas, it’s going to make the property seem much more manageable. That could be the difference between making the sale or not. This one is really property-specific. If you have a dog or a pool (or you’re adding one), then you absolutely need a fence. But a future buyer who doesn't have pets and has no intentions of adding a pool to the property might prefer a property that is not fenced in. 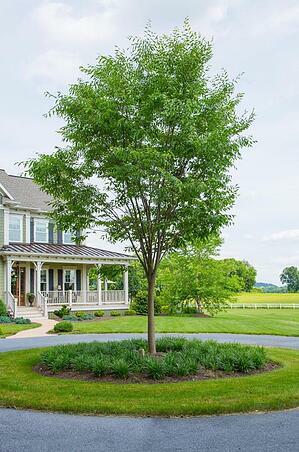 Strategic plant screening using appropriate trees and shrubs to provide privacy from neighbors may actually be considered more valuable to the buyer who doesn’t want to feel like the neighbors can see onto the property but has no other reason to fence in the yard. Fencing also doesn’t last forever. While PVC has more longevity, fences don’t always age as gracefully as plants. Over time, plants can actually mature and look more beautiful. Again, it’s a case-by-case decision and we can help guide you in deciding what’s best based on your unique needs and situation at that given time while also considering future needs and conditions as well. We think that one of the best ROE items is an outdoor kitchen and if you’re going to be staying in the home an excess of at least 5 to 10 years. 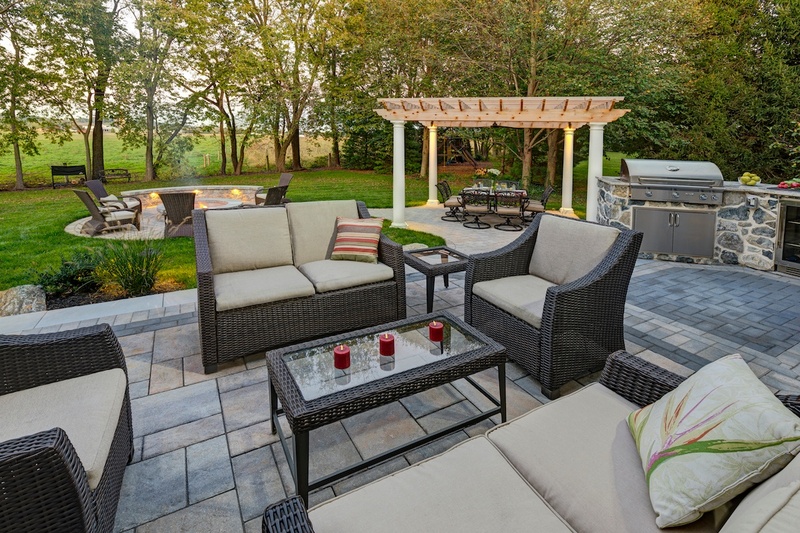 For that purpose alone, you’ll likely find adding an outdoor kitchen is “worth it.” Of course, it’s important to invest in one that is high quality. A top-of-the-line grill built into countertops may last 3 times longer than a cheaper quality, prefabricated unit. 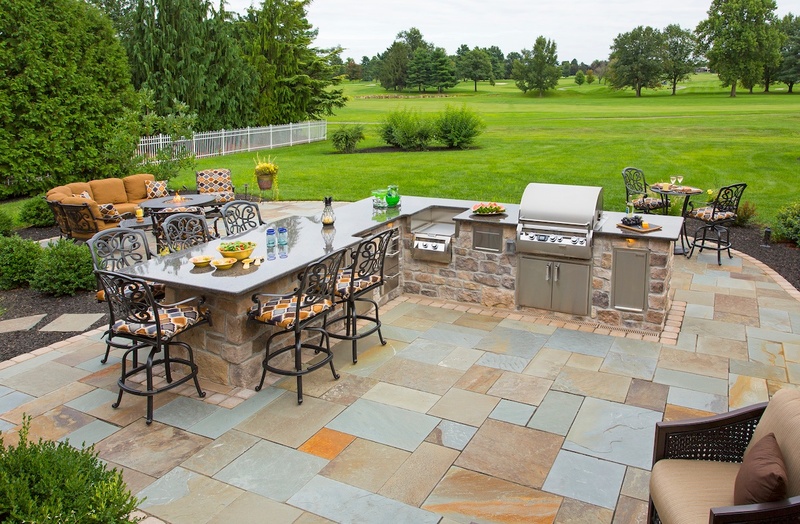 But home buyers also like to see spaces that they can envision their family and friends using and an outdoor kitchen is certainly a “dream builder.” We’ve heard from realtors that seeing a spectacular outdoor kitchen has been the selling point for buyers choosing between potential homes. Just based upon our conversations with customers, pavilions seem to have a bit more “wide appeal” than pergolas, which seem to attract some people while others really don’t care for them. We suspect that’s because pavilions also provide shelter from the elements allowing you to use the outdoor space during inclement weather. Pergolas provide a beautiful aesthetic appeal and some shade, but they don’t allow you to use the space during a storm. 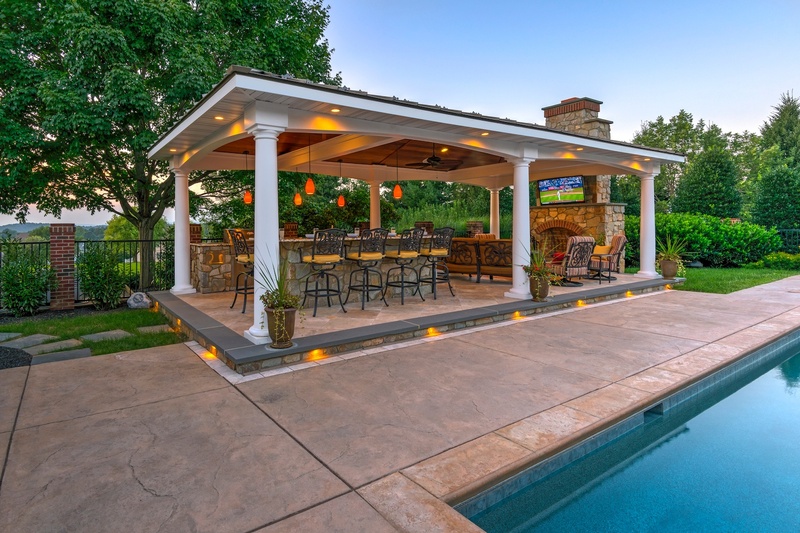 Of course, if a pergola is something that you really love and it’s going to give you tremendous enjoyment, you’ll want to consider the personal ROE factor to determine whether it’s worth it for you to add one—or even both. 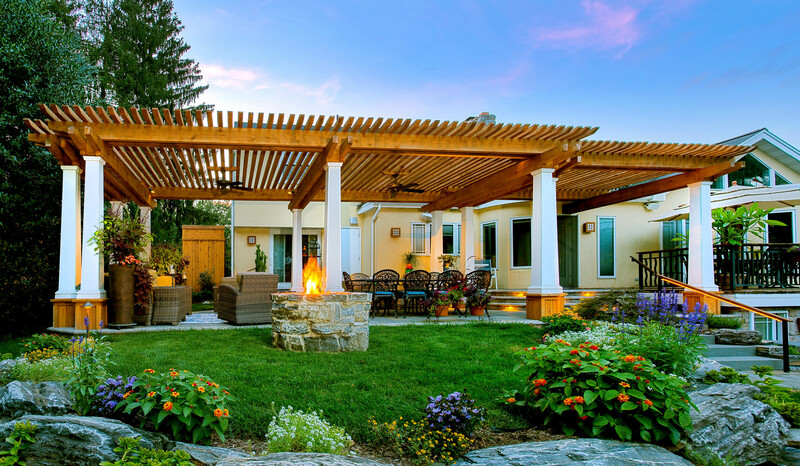 We’ve certainly added both a pergola and a pavilion to some of our clients’ properties. 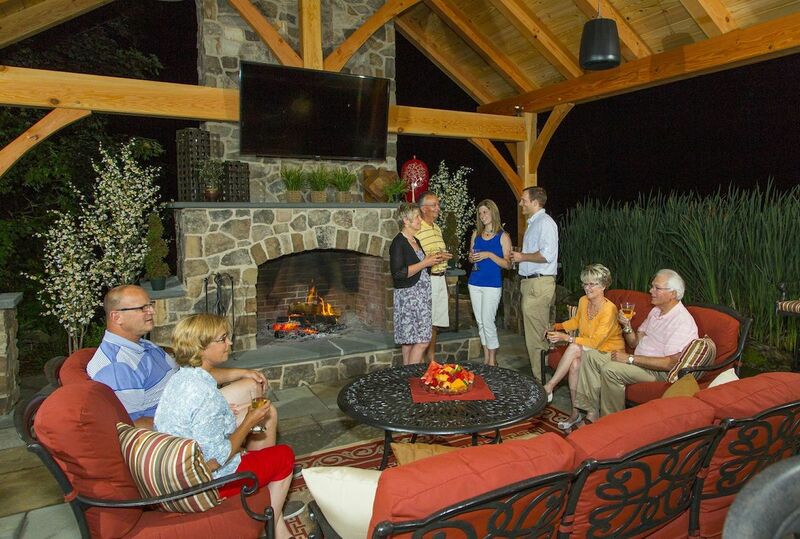 If you really love the idea of a fire feature—being able to sit around a fire pit or outdoor fireplace with your friends and family on a cool night—then for the ROE alone, we’d say a fire feature is a great addition. It’s not a huge expense and can add a tremendous amount of enjoyment. 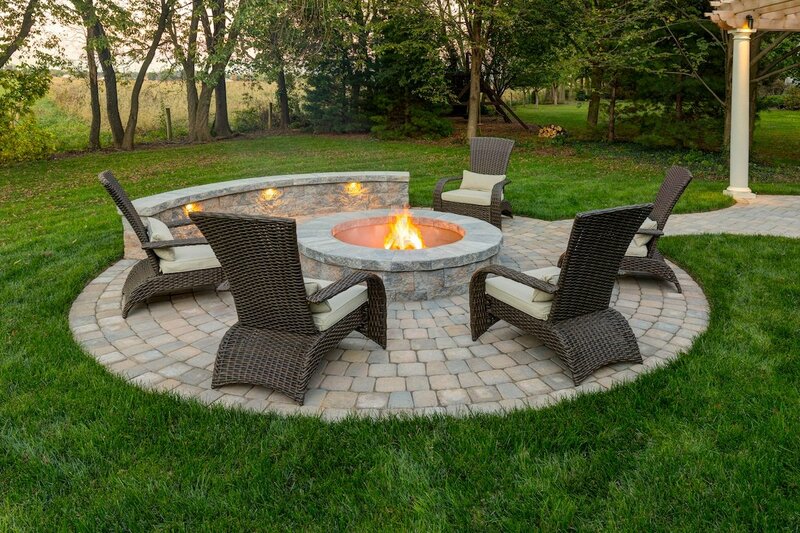 Like an outdoor kitchen, a fire feature might also get a future buyer dreaming about using the space. Any time that a buyer can picture themselves using the property is a step closer to a sale. 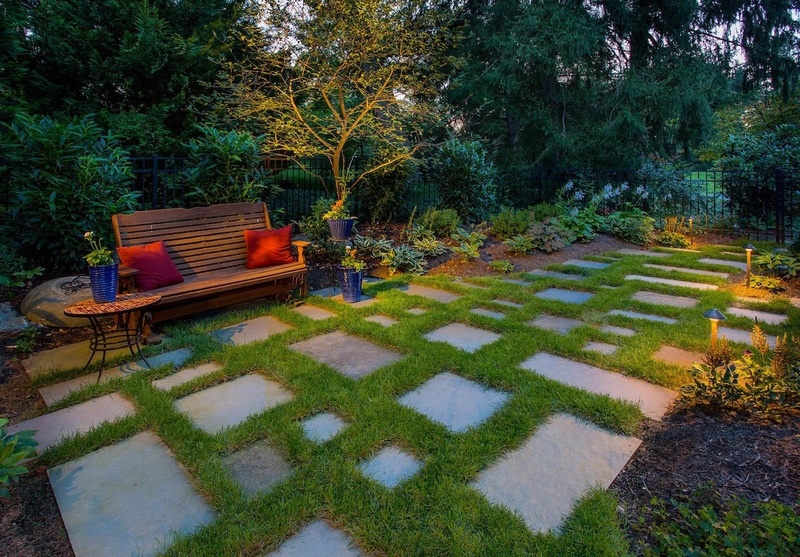 Between the aesthetic value and the safety and security that LED landscape lighting adds, we think this is one of the most valuable additions you can add to a property in terms of backyard landscaping return on investment. You really can’t go wrong with landscape lighting as it’s something that everyone universally appreciates. It’d be nearly impossible to find a home buyer who wanted a property that was intentionally left in the dark. When adding landscape lighting, you instantly add another layer of value to the existing landscape. Not only will it enhance the beauty of the plantings, but will accentuate the home’s architecture in the evening hours. Additionally, this is all achieved while providing a subtle yet important factor of safety and security to your outdoor environment. By adding landscape lighting you also give the property 24-hour access and use. If potential buyers are visiting the property in the evening, they can truly see everything it has to offer! The jury is out on whether or not pools and spas have a strong ROI when it comes time to sell—only because it depends on the buyer. Some homeowners want a pool and others don’t. But there’s no question that they have a strong ROE for homeowners that desire one. If you’re going to be in the home for more than 5 years and would rather add one to your backyard than join the local community or club pool for the next 5+ years, then the ROE will be high for you. 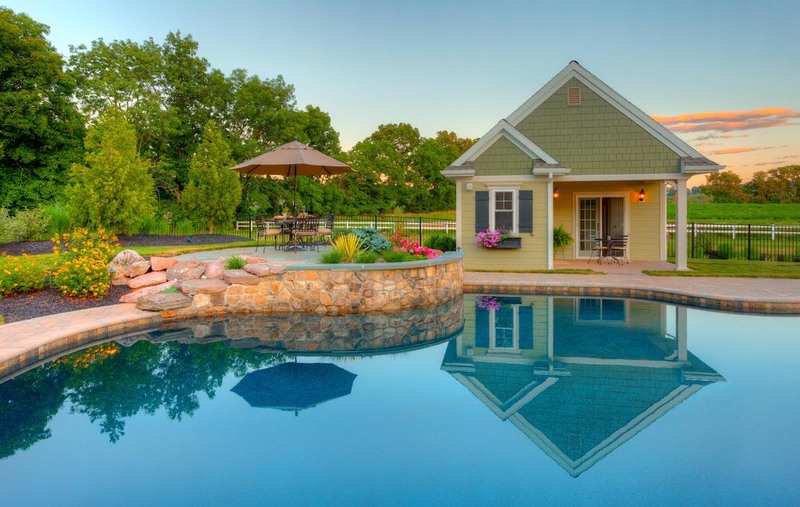 And chances are, you’ll be able to find a buyer who can also imagine spending quality time at the pool just like you did. Plants are another item that can be highly specific to a homeowner’s preferences and can, therefore, have a questionable impact on ROI. However, there are always going to be circumstances in which plantings can be more universally appreciated. For instance, if the property is by a busy road and a privacy screen is planted to screen out the views and the sound, then chances are, most buyers would be happy that’s already there and they don’t have to do that landscaping investment themselves. When thinking the landscaping effect on property value, it helps to make choices that will age gracefully, aren’t high maintenance or messy, and won’t grow so tall that they block windows or crowd out walkways. When in doubt, it always helps to think ahead. Ultimately, what could end up hurting resale value is a bunch of plants that the future homeowners have to rip out when they move in as a result of the lack of serious thought for design, planning, and poor plant selection. There’s obviously a lot to ponder and we want to be clear that this is not an exact science. Property and personal differences can make some landscaping ideas work on one property where they wouldn’t necessarily be the best choice on another. That’s why a personal consultation that focuses on your specific goals is so incredibly important. At Earth, Turf, & Wood, we spend a tremendous amount of time talking to our clients about all of the specifics of their situation. 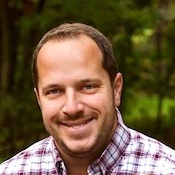 We’ve found that this approach has helped us to forge lifelong relationships with our clients. In many cases, we’ve helped clients at multiple homes as they’ve moved in our area over the last couple decades. We want to be here to guide you in making an informed decision so that you’re doing what’s best for your situation and your property. In the end, this is your home—no matter how long you’re in it—and we want you to make the best choices for you. 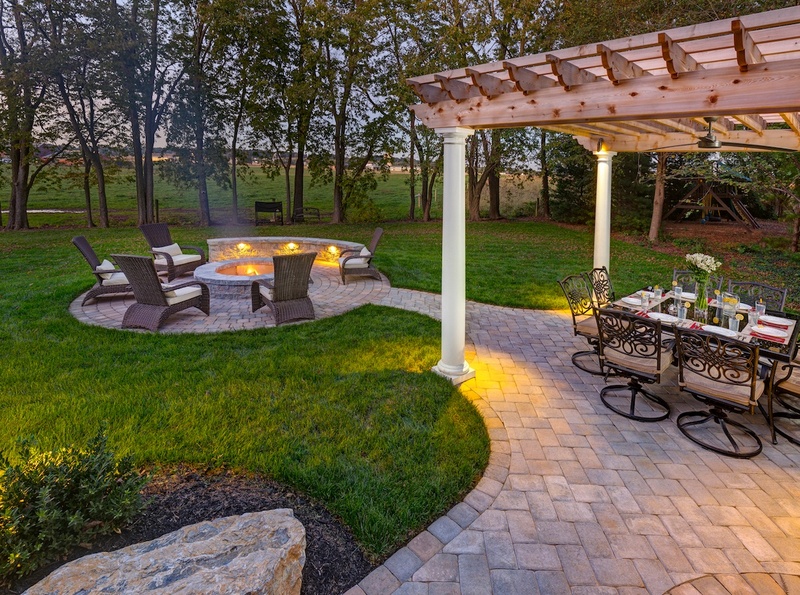 If you need some help deciding on the best choices for backyard landscaping ROI (and ROE) for your Reading, Lancaster, York, Lebanon, or Hershey, PA home, then contact us for a free consultation or give us a call at 717-276-9447.